Two weeks was not enough time. I’ve been to Poznan, Poland several times before, but I had no idea I would make so many friends here during my short two weeks in the city. I really love this place and the people that I’ve met here. 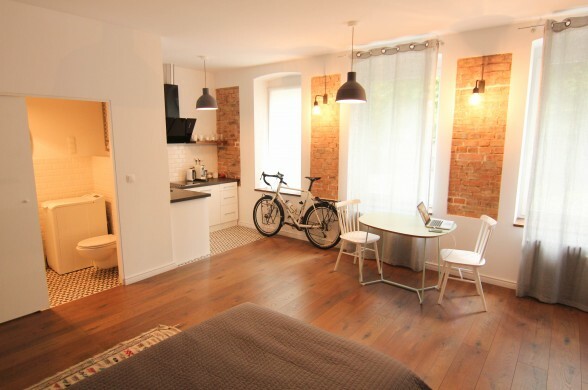 For the last two weeks I’ve been staying in this spacious studio apartment in the Jezyce district of Poznan, Poland. I rented the place on AirBNB.com and have quickly become friends with not only the owner of the apartment, but also her boyfriend, brother and various other friends. During my time in Poznan I made several trips to the Bigfoot Coffee Shop to visit with my American friend, Erik Witsoe, who not only runs the place, but is also an amazing photographer and is capturing Poznan in a unique way through his work at Erik Witsoe Photography. I also spent about 8 days during my short two weeks in Poznan taking table-tennis lessons from Wieslaw Witek. Wieslaw doesn’t know any English… and I know only a few words in Polish, so our lessons together are pretty interesting, but I’ve learned a lot from our lessons together… and had a lot of fun as well. When Karolina (the woman I’m renting my apartment from) found out that I like table tennis, she informed me that her friend Lukasz had a ping-pong table in the basement of his apartment building, so she invited me over one night to play with her, Lukasz and her boyfriend, Marek. I ended up going to play with Lukasz on my own two additional times. I also went on a number of bike rides while I was in Poznan. When I visited Poznan for the first time more than a year ago, the first place I went for a bike ride was in the nearby forests… and these forests are still one of my favorite places in all of Poznan. I even managed to go on a bike ride with my friend Pawel, who I met the last year winter when I was in Poznan… and he invited his friend Daga (the lead singer for the Polish music group, Dagadana, to go on a bike ride with us). We cycled out to a distant lake, ate some ice cream, and stood on the pier as the sun set over the trees and lake in the distance. After making friends with Karolina, Marek, Lukasz and Lukasz’s girlfriend Marzena, I was invited to two separate dinners with the couples. At these dinners I was also introduced to Karolina’s brother (who is also named Lukasz) and his girlfriend, Anna. Karolina and Marek cooked up a bunch of food and we all consumed it out on the couple’s outdoor garden patio. Here’s a photo of me (on the left) and Wieslaw Witek (my Polish table-tennis instructor (on the right)). The photo was taken on our last day of training together… and I’m bending my knees in an attempt to lower myself down to his level. During my last week in Poznan, I met up with my friend Ariadna (who runs the fashion blog Help, I Have Nothing To Wear) and we ate smoothies together, went to lunch at a vegan restaurant, and then went on a long bike ride together out to Lake Strzeszynskie. While in Poznan, I also shot a video for the website here at BicycleTouringPro.com. 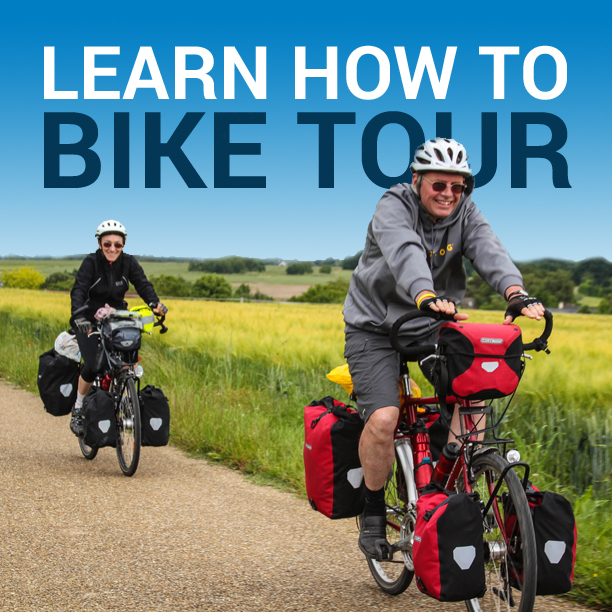 The video is my attempt at answering your questions about the recently re-published Bicycle Touring Blueprint and the Ultimate Bike Tour Training Course. During my last day in Poznan, I woke up super early and rode around the city on my fully-loaded bicycle while Erik (from the Bigfoot Coffee Shop) took photos of me. Then I returned to my studio apartment, packed up my things and prepared to hit the road. Later in the evening, I met up with Ariadna again and she interviewed me for a school assignment and then we walked back to her apartment on a dark Sunday evening. For the next 6+ months, my bicycle will be my home. I will cycle out of Poznan and continue riding north through Lithuania, Latvia, Estonia and Finland before traveling to Ireland in mid-August and continuing to the United Kingdom and Taiwan after that. Stay tuned for more photo, stories and videos from the road as I slowly pedal my way by bicycle through dozens of countries all around the world. Be sure to follow the adventure on Facebook, Twitter, YouTube, Google+ and Instagram. This entry was posted in Bicycle Touring Pro Articles, Darren Alff's Bike Tour Blog, Europe, Locations, Photos, Poland and tagged ariadna, Ariadna Majewska, bigfoot coffee shop, daga, dagadana, erik witsoe, lake rusalka, Poland, poznan, poznan i love you. I need a good friend from here.I hope someone will be my friend soon. I am from India. I love this place.